Coming to E3 2016 all the way from Mars by way of France, development studio Spiders has brought for us their exciting new Sci-fi Action/RPG The Technomancer. Set on Mars during the War of Water, the game depicts the story of an aspiring Technomancer who faces a myriad of questions as his future grows threatened by the secrets of his past. You play as Zachariah, a “Mage-Warrior” about to finally pass his initiation rite to become a fully-fledged Technomancer, beings who can harness destructive electrical-based powers amplified by their cybernetic implants. Faced with the cruelty of Mars’ iron-fist enforcers and alien wild-life, can you survive long enough to uncover the truth behind The Technomancer? The game promises branching paths, rewarding skill tree depth, dynamic companions and quests that can be solved via several different approaches. Curious to know more, we sat down with the CEO of Spiders, Jehanne Rousseau to tell us more about her project and what went into its design. FL: How did The Technomancer emerge as a concept and what inspired its story? JEHANNE: It will be a long answer. Have you head about Mars: War Logs? It’s a game we made earlier when we were a smaller team. It was a small story but set in the same universe as The Technomancer. We are pen and paper players and we tried to create a sci-fi post-apocalyptic cyber universe setting that we used for the Mars: War Logs game. However, we were a bit frustrated by the game because of the small budget that lead us to make a short game with only 12 hours of gameplay. Since we wanted to make a bigger game, the game of our dreams, 2 years ago we spoke with Focus Home Interactive about the project and decided that since the public loves the universe of Mars: War Logs, why can’t we create a much bigger game in the same universe? So by keeping the same elements of the universe that we have worked on for years, we were able to give plenty of lore, different corporations and factions that players will meet and encounter in their journey. It was a lot of work on the scenario, but not so much on the universe because it was something already existing for us. FL: How much did the development of Bound By Flame affect that of The Technomancer? JEHANNE: We use an engine that we developed ourselves, so each game has some elements, tools or ideas coming from the previous games, including Bound by Flame. We try to each time improve our game by listening to the players, journalists and our friends to incorporate alot of ideas. While some ideas can’t be done because the techonology doesn’t exist or our team is too small for it, there are many others that are very useful. So we try to bring them into the game to improve the next installment. For example, some of The Technomancer’s combat style is inspired by what we had achieved in Bound by Flame, but of course adapted to the more modern cyber universe. Another example would be the slightly linear aspect of the story of Bound by Flame that really annoyed us during its development. So it’s one of the things we changed in The Technomancer, by allowing the player to go back to previous places to see the consequence of the changes brought about by them in the cities or factions, etc. 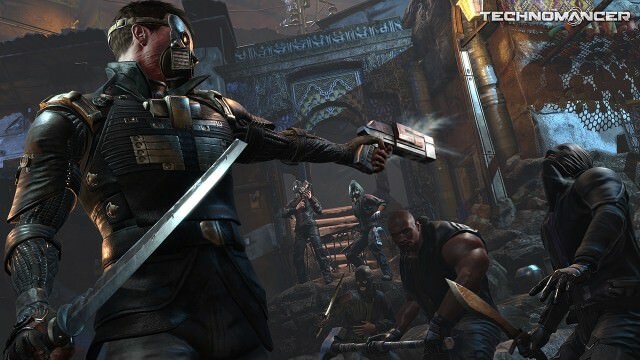 FL: In a booming RPG era, what makes The Technomancer so compelling? If you like deep stories, you will like the game because we really try to show the importance of your choices. I know everyone says that, but here your choice will REALLY matter in the game. We are not talking only about choices in dialogues like most other RPGs, but about how you solve and decide to conduct your missions. For example, we have some merchants who have been captured by the Mob and you have to save them. You could just go to the prison, fight the mob and free the merchants. However, if you don’t wish to fight the Mob, you could also use your stealth ability to go through the back-door and use your lock-picking ability to free them. Another solution is to go to the Chief of the Mob to pay for the freedom of the merchants. Alternatively, you could even go to the guards and bribe them to look the other way while you free the prisoners. So there are plenty of ways to solve this mission, but each way will have its own impact later. There are many factions in the game and the Mob is just one of them, and the Merchants are another one. So depending on how you decide to solve this mission, the factions will react differently. So if you kill the guards, the Mob will probably hate you after that. However if you paid them, they will mostly likely want to work with you. All in all, the choices will change your story and also your experience and I think it’s a really important and different thing compared to other games. FL: Speaking of choices, are there severe alterations to the game for choosing certain decisions that are more massive than others? JEHANNE: I don’t want to spoil the game for you, but some events will obviously have bigger impacts. Through your decisions, your perception of each of the events will be different, your allies and your enemies as well will be different. There is one main enemy that will stay your enemy till the end, but the way you handle and fight him will change. So there are some kinds of important changes that happen. Your companions are also really involved in the story. They are not just here to help you fight, but instead they have their own goals and histories which brings you to different quests and missions. Depending on the way you act with them, they could betray or leave you. Choice is really an important part of the game. FL: Character customization is near and dear to RPG players, so could you talk a bit about your decision to have a fixed protagonist and could you maybe play as a female? JEHANNE: It was honestly a budget decision. Not so much because of the animations, as we already have important female characters in-game, so we have the animations. The real problem is voice. There are a lot of dialogues and it’s huge! Trying to do a female version of it in all of the different languages, in addition to having a different style of dialogue for all other characters talking to a heroine as opposed to a hero, is a huge task that would be very expensive. In fact, if we really wanted to incorporate a heroine, we would have to cut some parts of the story and the choices so we decided against that. I know it can be quite frustrating for some people, but I think it was more important that we invested in the story and created more choices in it to make better gameplay. FL: How is the overall setup of the game? Is it open-world? How do you travel around? JEHANNE: It’s not an open-world. It is some kind of huge area with herbs and some other areas that are connected to it, including dungeons. You can travel back to places you previously visited, but you will discover some new places as you progress through the game and your world map will expand accordingly. You travel using a rover from one base to another. The rover itself is a part of the story and you need to improve it to reach some specific places. Your rover is one of the very few remaining on mars. In fact one of your companions will be the driver of your rover, a job that is seen as a very prestigious one because of the rarity of these rovers. FL: Will you be planning for sequels of The Technomancer or Bound By Flame? Or will you be trying to develop a whole new IP in the future? JEHANNE: I hope we will be able to do a sequel of The Technomancer but not right now. We will probably do another game before that because we have to change things up. It can get really tiring or boring to work within one universe and after 2 years of working on it, we need something fresh and new. So we will be working on another game in a different setting, and then probably we would be able to go back to The Technomaner to bring new stories, characters and a whole new experience. FL: Do you have any plans for DLC for The Technomancer? JEHANNE: No. Honestly, I’m not too fond of DLCs for RPGs. For strategy games maybe it makes sense to have DLC to bring in for example new tactical units or scenarios for example. However for RPG games I believe if you are making DLC, you are delivering only parts of your game and I don’t like that. 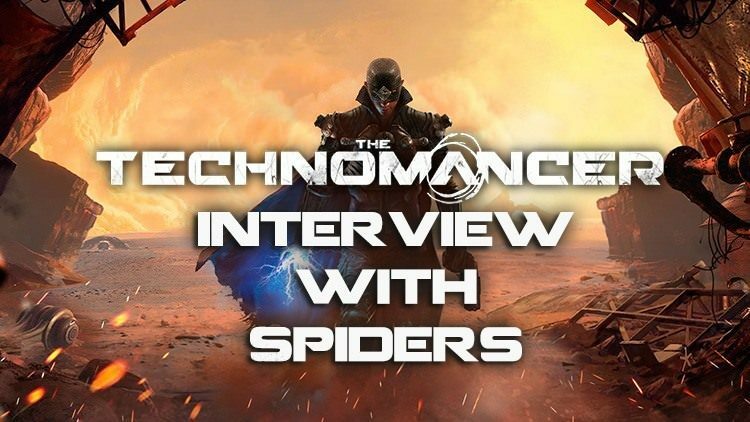 We found this interview to be refreshingly honest and it really gave us insight into the obvious labor of love that The Technomancer is for the team at Spiders. We’re looking forward to trying all the different angles the game’s story will present us when it releases on June 28th for PS4, Xbox One and PC. I’ll be honest, Bound By Flame was……..underwhelming, so I hope that Spiders can back up their ideas with solid execution this time around! I must admit though, I am intrigued by the game, and will definitely be keeping a close eye on it. Fun fact: While the engine may be made themselves, it’s not entirely their own creation, it’s based on the PhyreEngine free-to-use game engine, which is made by Sony. "FL: Do you have any plans for DLC for The Technomancer? JEHANNE: No. Honestly, I’m not too fond of DLCs for RPGs. For strategy games maybe it makes sense to have DLC to bring in for example new tactical units or scenarios for example. However for RPG games I believe if you are making DLC, you are delivering only parts of your game and I don’t like that." I agree. I’ve played a boatload of RPGs & have never bought DLC. By the time it comes out I’ve already finished the game & can’t see any reason to buy it. I really like Spiders – I feel they’ve improved with each game. 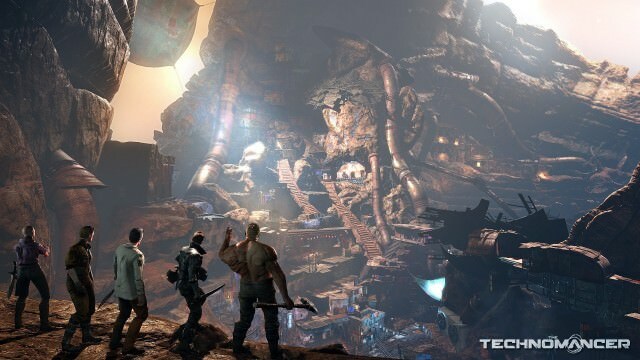 I’ll be picking up The Technomancer when it comes out next week. We really loved her statement on that. While there are plenty of examples of quality DLC for RPGs (the Soulsborne series) it is refreshing to hear someone say, no what you get is the complete experience, so you can plan to play to your heart’s desire and not worry about leveling or when and how you beat the game.